WELCOME TO OKADA Japanese Restaurant & Sushi Bar! 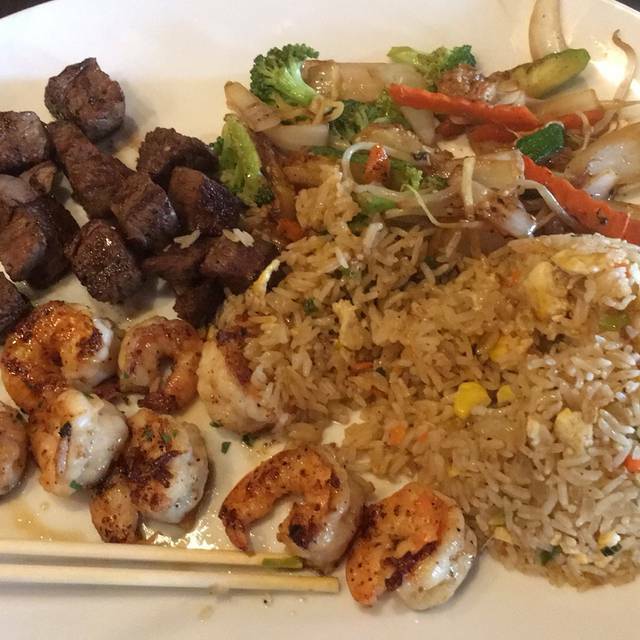 Offering fresh Sushi, Hibachi-style entrees, and authentic Japanese culinary specialties. Great food and great customer service! Sushi and sashimi are always fresh and high quality. 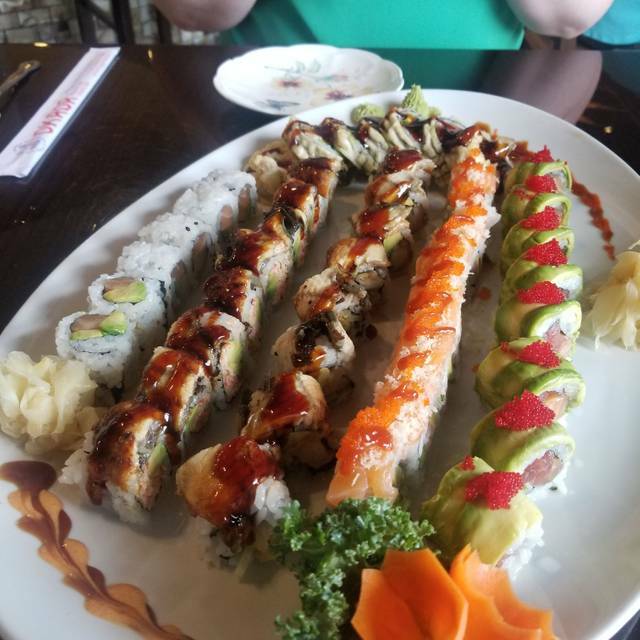 Specialty rolls and small plates are excellent. Even my kids live their junior bento boxes and the special spring loaded chopsticks they give them. Food is fresh and wonderfully prepared. Overall, great experience. My friend and I received great service and very much enjoyed our food while at Okada. The tables were a bit close together, but listening in on the first date next to us turned out to be one of the highlights of our evening. The sushi was great, the sake was delicious and the service was top-notch. The food and service were excellent. Nice place, well-priced, good food... Only issue: Too many jammed-together tables. There were several empty tables in more desirable spots. Hostess said “sorry, they’re reserved.” It was 5:45 PM on a Friday. We sat at the bar instead. After an hour, half of the “reserved” tables were still empty. Sad. The food was great. The only problem with the service was it felt like they added a table for our reservation but it didn't fall into one of the regular sections for a server so our server was slow at times getting to us. Definitely going to go back. Love Okada and our kids do too! Very accommodating and food is great. The restaurant was large and the tables are centered around a very nice looking sushi prep area. There was a manager walking around who paid attention to every little detail. She noticed my friend's hat had fallen on the ground and she stopped to pick it up. I really appreciated the level of service. The sushi was good, but not the best I've ever had. Now our favorite Japanese restaurant in the area! A bit pricy for every day, at least for us... but you get what you pay for. We will enjoy treating ourselves again soon as there were still many things on the menu we would like to try. The service ruined it for me. The waiter was MIA for the second part of the meal - I had to beg someone (so few servers that night) to give me a check so I could pay (waited more than 20 minutes after we finished our meal to find a waiter and then another 10 minutes to get our bill and another 15 minutes to get our bill with credit card picked up, credit card receipt for signature and get credit card back). Best sushi in Ashburn/Dulles. They have lots more than just sushi. Nice place. Not the cheapest, but you get what you pay for. Great sushi and the happy hour appetizers were fabulous. Finished it off with hot sake and an udon soup, and left very happy. Looking forward to coming back! Our third time at Okada and it never fails to be outstanding. Great service and the sushi and other dishes were great. The service was great. Thanks to open table, for right in on a busy Friday night. Sushi was fantastic. The menu has so many options, we will definitely go again to try other things. We have eaten dinner at Okada several times. We have enjoyed each visit and we will go back. Excellent sushi and service. 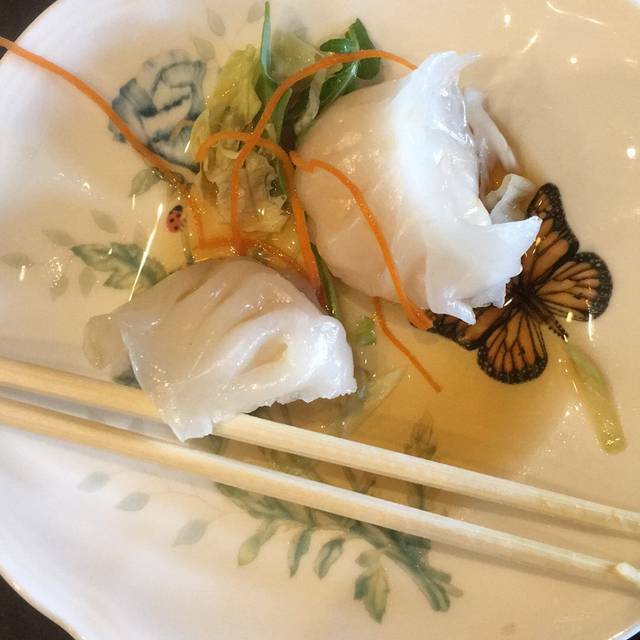 This will be our go-to place for sushi. Happy hour drinks and food were excellent and great value! 3rd anniversary date. we loved our server, yorora? don't know how to spell it. sat at sushi bar and had a lovely time trying delicious new sushi. first time here, we'll be back often. Great Sushi and awesome handcrafted cocktails! Me and my son had oysters and sushi and other appetizers and we got sick with GI symptoms..
We always have a great time here! The sushi is creative and delicious, and the service is wonderful! The service was great. The food was decent. Ordered Ramen and a Tonkatsu Bento Box. Unfortunately, I did not enjoy the Ramen. Staff are awesome! Really appreciate the fresh sushi, oysters and long list of drinks. Reliably terrific! Okada consistently delivers outstanding quality and service in a beautiful setting. The best Asian restaurant in the area. Our table wasn’t ready, but they sat us in the bar area. It was quieter there, so it ended up being a better location. The sushi was pretty solid, however the service was very slow. Food was outstanding but bar service was VERY slow. We chose Okada by chance, and it was perfect. We had a nice time with our big group; the food and drinks were good. Very good food in a lovely dining space and super service all around. I had high hopes, but unfortunately they fell short on this trip. My wife’s meal was completely wrong and there seemed to be no real way to correct the issue. No real offer made to do something to offset the mistake and I’m really not sure why the mistake was made. The appetizers were no better than ones pulled from the freezer section at BJ’s and my bento box was mediocre at best. My wife is Japanese and I have been eating traditional Japanese food for over 12 years now; this is Japanese food for those that dont know any better. Sorry.